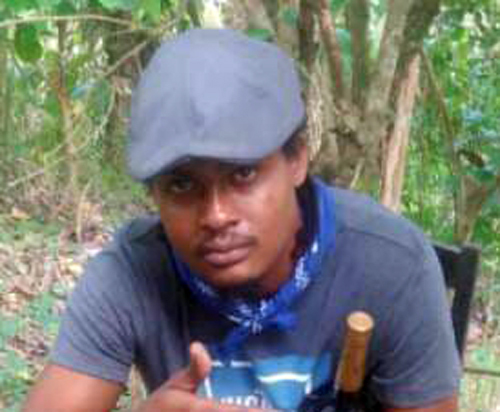 Even as nationally reported statistics suggest that incidents of violent crime are trending downwards, residents of Bins Lane in Lucea, Hanover, are left to question the validity of such reports, as this past Wednesday, August 15, a mother and her son were mercilessly cut down in a hail of bullets, leaving the once quiet community terrified and on edge. In what some residents are claiming may be a targeted attack, 44-year-old Carlene Graver, otherwise called Debbie, a shopkeeper, and her 24-year-old son, Uton Crocket, otherwise called ‘Bigga’, along with another man, were at home in their one-bedroom apartment watching a game of cricket, about 9:30 p.m.
Information reaching this newsroom from the police is that shortly after, several men, all armed with handguns, invaded the yard in the relatively clustered community. Further reports suggest that the men approached the premises from the back, where they then breached the one-bedroom apartment and opened fire, killing Graver and Crocket on the spot. The other man managed to escape the onslaught, sustaining just two gunshot wounds to both thighs. He was assisted to the Noel Holmes Hospital, where he was treated and admitted in stable condition. 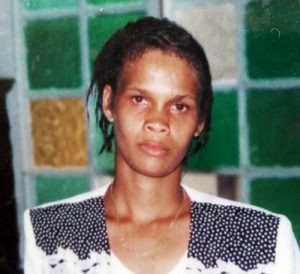 The police were shortly after summoned to the scene, where CSI agents observed the bullet-riddled body of Graver, clad in a blue jeans skirt and a black blouse, lying lifeless on its back, while just a few meters away, Crocket’s body, also bullet-riddled, laid face down, clad in burgundy underpants. Further processing of the crime scene seems to support some residents’ report to this newsroom that the shooting went on for an extended period of time, as investigators from the Area One police reported recovering 29 nine (9) mm spent casings, fifteen (15) .45 spent casings, nine (9) expended bullets, and one magazine with nine (9) mm cartridges. Investigators are yet to determine a motive for the tragic shooting, but unconfirmed reports suggest that this recent assault is just another in a series targeting Graver and Crocket, as well as family members of theirs. Just recently, a relative of theirs was pounced upon and shot and killed while coming from a football match, leaving some residents to believe that the strike on the mother-son duo may have been months in the making. The police were unable to comment on such reports, and instead revealed that investigations continue.